Shorty and Alberto are more than best friends. They're blood brothers, both about to turn thirteen, running wild on the streets of Medellin, Colombia. In this troubled South American city, guns speak louder than words. A killing can be bought for nothing here, with kids hired to do the dirty work. So when Alberto comes to the attention of a gangland boss, Shorty is left to kick at the dirt and reflect on his lot in life. Lost without his buddy, Shorty begins to yearn for some purpose, affection and respect of his own - even when Alberto goes missing. Bold, chilling and beautifully written . . . it really left an ache behind. Stunning . . .all that is left is a feeling of sadness and loss. . .A fine achievement. A powerful, affecting novel about lost youth, and a sharp evocation of one boy's terrible passage from innocence to experience . . . a book we could all do with reading. 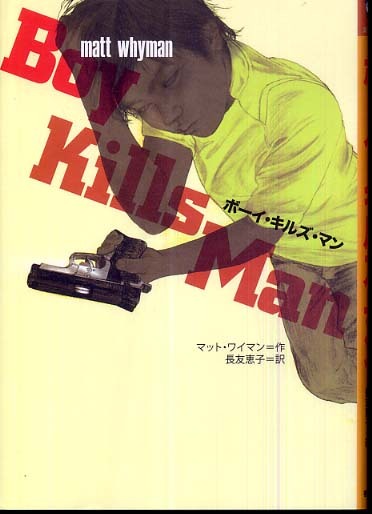 If, as the novel's opening sentence informs us, 'nothing is more unsettling in this world than a kid with a gun', then it must be conceded that Whyman presents, with a vision that at times is almost frightening in its focus, a narrative which demonstrates precisely how unsettling such a spectacle is. This is a tough, uncompromising - and very impressive - piece of writing. "Excellent . .Sonny is a bit like Henry Hill in Martin Scorsese's Goodfellas. It's a shock to realise that his relationship with Beatriz, the girl he might have loved, has been nothing more than a few shy words"
A fine story, based on the child assassins of Colombia. Bloody, desperate and full of tragic pride, the sheer unfairness of the life caught between these pages makes you want to scream out. Just occasionally, a novel hits you with such force that it takes a while for what you've read to sink in. 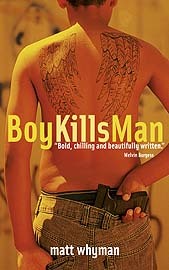 The storyline permeates your every pore, you think over and over again about the characters.Boy Kills Man is such a book . . . A powerful novel, though-provoking and shocking. A terrifying book with a plot that will enthral ... Its writing style is beautiful, and though the book isn't sweet and sentimental, it's strangely moving. More chilling than a horror story, it will keep you hooked right to the terrifying end. A powerhouse of emotion and atmosphere that never fails to captivate. Almost causes you to forget that its central characters are only 12 years old . . . this powerful novel should not be taken lightly. 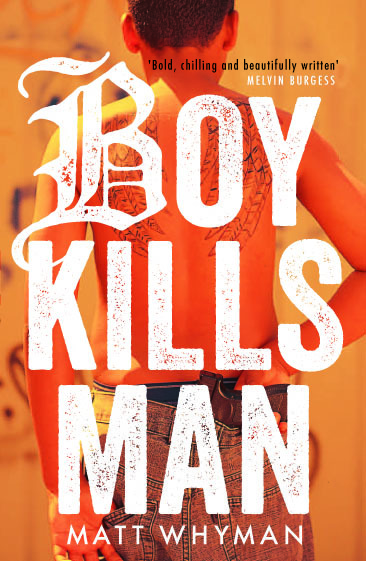 The teenage fiction debate will be fuelled by Matt Whyman's novel, Boy Kills Man, which recounts the experience of a child assassin living in a South American ghetto. The fine text is surprisingly gentle - in contrast to the brutal story which pulls no punches. Originally published 2004 by Hodder & Stoughton. 10th Anniversary edition published July 2014 by Hot Key Books. 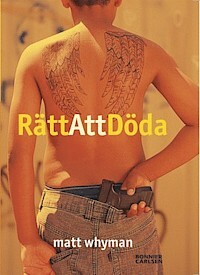 Also published in the USA, Sweden, France, Italy, Portugal, Japan, Norway, Estonia and Holland.